Kildare South Fine Gael TD Martin Heydon has received confirmation from Minister with Responsibility for Mental Health Jim Daly that €300,000 has been allocated from the HSE Mental Health Budget towards developing the new stand-alone Mental Health Unit on the grounds of Naas General Hospital. “I have been fighting for improvements to our acute mental health facilities in Kildare and West Wicklow for some time. The current 29 bed unit at Lakeview is not adequate for the needs of our growing population area. 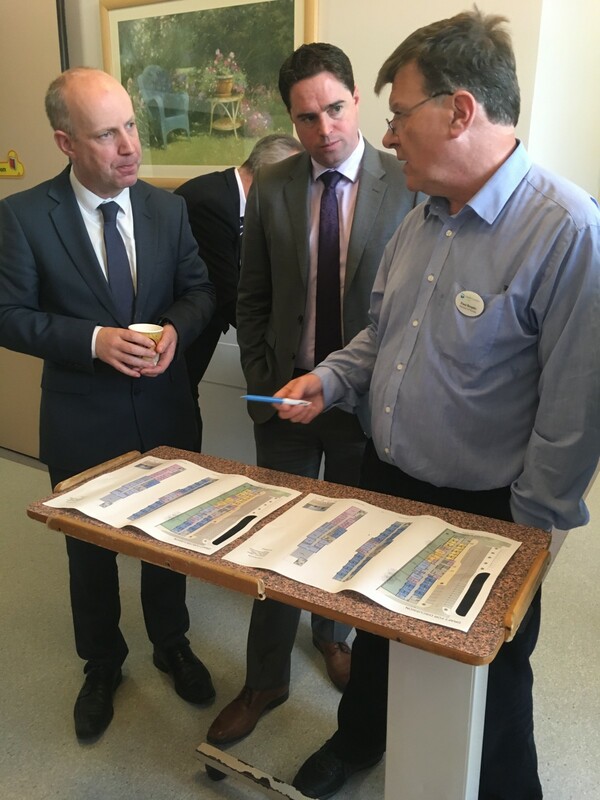 “The €300,000 allocation from the HSE will be used to bring the project through design and planning phase. The new design team have been appointed and have already met with a view to driving the project forward. The project envisages a 50 bed standalone project on the site of Naas General with a value of €15-20m. It will meet the needs of the growing population of Co. Kildare into the future. “The HSE had originally proposed an extension to the existing Lakeview unit but this was reviewed when it became clear that the needs of Kildare were greater than that. I believe a new stand-alone development is the right decision for Kildare and I will be working with my colleagues Minister Jim Daly and Minister Simon Harris to see it progressed as soon as possible. “An added bonus with this plan as opposed to the originally proposed extension, is that the existing Lakeview facility which is adjoining Naas General Hospital, will then be available back to the general hospital where it could help to increase capacity. This along with delivery of the new endoscopy unit for Naas General Hospital will be a very significant investment in Kildare’s future healthcare requirements,” concluded Deputy Heydon.